It was the first time I tried using the veggie pasta and I really must say that it wasn’t bad at all. However, I did used more meat (bacon chunks & ground beef) as usual which is a great need just as much as the amount of cheese. Adding a bit of adventure was my choice of sprinkling celery leaves that I had left from when I made my smoothie. 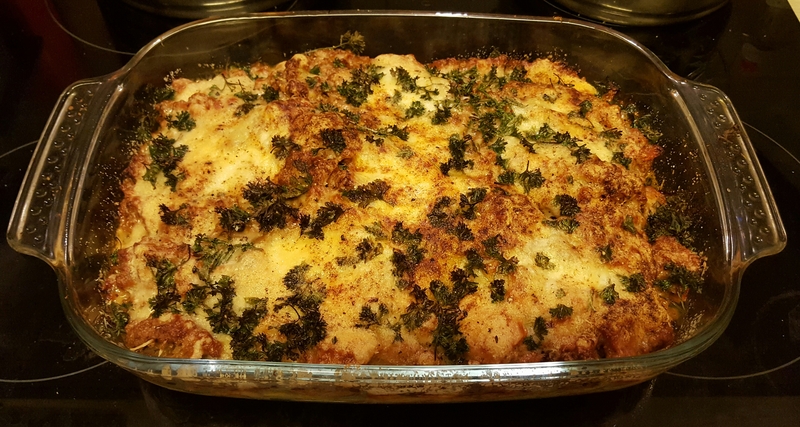 If ever you’re running low on time or no longer have the energy to stand and cook, baked lasagna is the easiest to make knowing you just have to lay the pasta, meat and cheese layers and then let it bake into perfection. The cheese on top is crisp and the layers remains soft but firm to hold its shape when cutting.